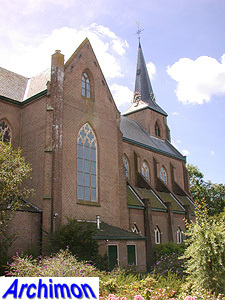 Until the Reformation the catholic community of Tuitjenhorn belonged to the parish of Harenkarspel. 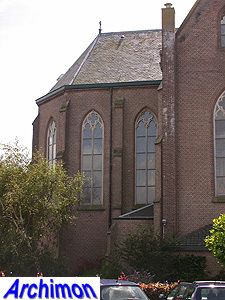 The church in that village became protestant during the Reformation while the catholic faith was forbidden, even though the vast majority of the population remained loyal to the old faith. In the mid-17th century, when the religious climate had become a bit more tolerant, a catholic barn church could be built in Tuitjenhorn. 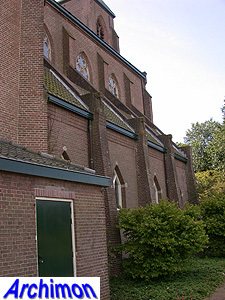 Little is known about the further history of the barn church. 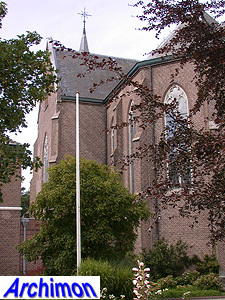 The catholic community, a station (Dutch: statie) as it was then, apparently continued to use the barn church, or possibly an equally modest successor, until 1859, the year when Tuitjenhorn officially became a parish. In that same year it became the proud owner of a brand new church. 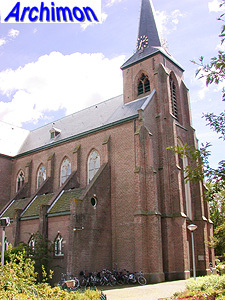 The call for tenders for the construction of the church, tower and presbytery was published in October 1857, oddly without mentioning the architect. 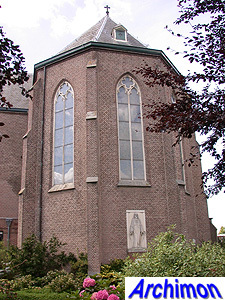 The church was designed by Th. 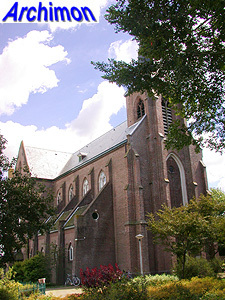 Molkenboer, the Netherlands' first architect to design and build a substantial number of churches. 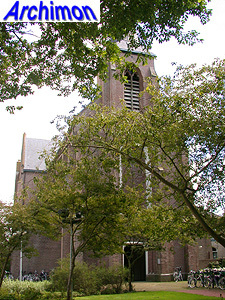 Molkenboer had some powerful connections within the catholic hierarchy and had little competition in the West-Friesland region of Noord-Holland. 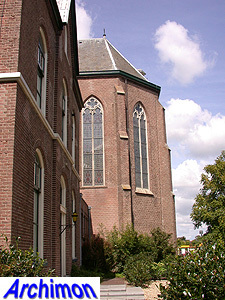 Raised in the neo-Classical tradition, Molkenboer was known for churches in various styles, but often with a neo-Classical construction. 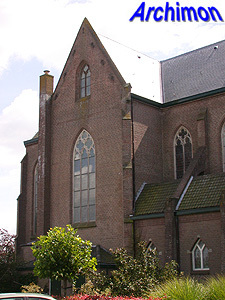 Although he never completely abandoned this approach, in the 1850's he did a few attempts at designing neo-Gothic churches with, at least externally, Gothic proportions. 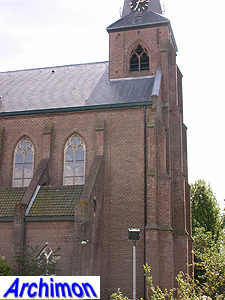 The church in Tuitjenhorn, with its short tower, is not one of his most succesful attempts. 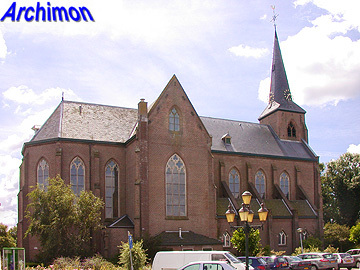 It was built as an aisleless cruciform church. 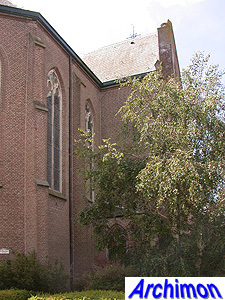 The nave looks rather high compared to its width, especially in comparison with the short tower. 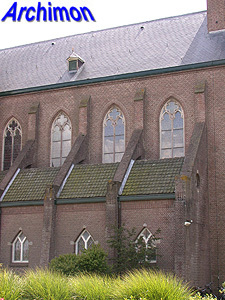 Inside, the nave, transept and choir are covered with Molkenboer's usual fake vaults, made out of wood, straw and plaster. 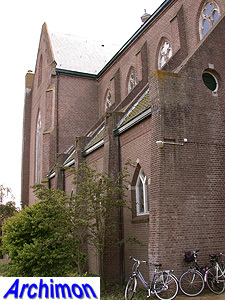 In 1925-1926 the church was extended with low and narrow side-aisles, designed by architect Ch. Estourgie.